The show of figure drawings presently on view at the Cantor Arts Center on the Stanford University campus includes a number of delights. Some of them, like this Francoise Boucher (1703 – 1770), are the sort of thing you expect in a survey show, but that doesn’t diminish the delight. 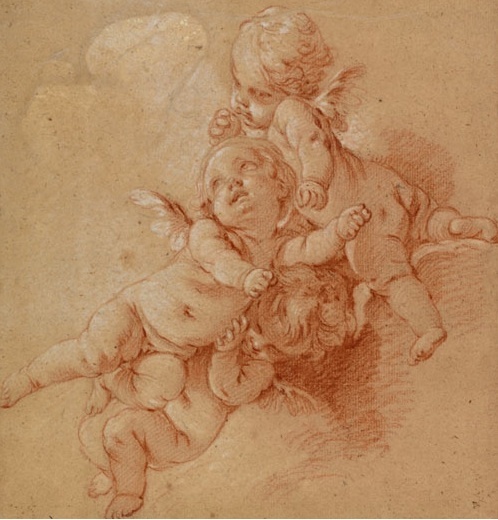 It’s one of those silly subjects, but Boucher is such a sturdy draughtsman that the dynamic, twisting press of putti is almost monumental. And without showing off, either. The forms are described so neatly and economically that you have to look carefully to notice the deftness of their execution. And then there are surprises, like this quick, whippy piece perhaps by Raymond Lafage (1656-1684), an artist new to me. Even peppier is another Lafage, “Christ Presented to the People,” a busy crowd scene drawn as if with a pad of steel wool. And then there is the usual raft of competent but boring studies, prep works, and showy performances. 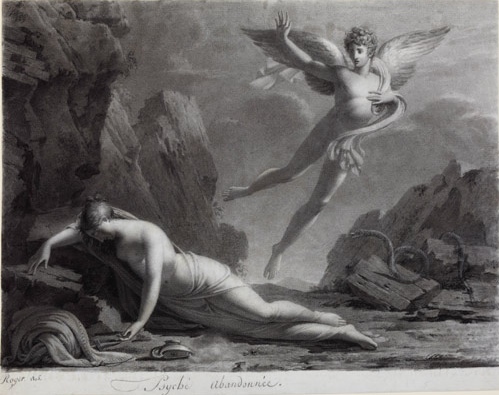 “Psyche Abandoned” by Barthélemy-Joseph-Fulcran Roger below is a better than average example of the latter category. It’s certainly useful to give such pieces a look. 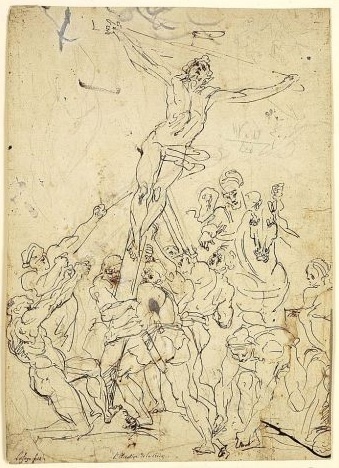 One lesson to be drawn is the enormous difference between the workmanlike but bloodless execution enabled by conservative art training, and art where the vision comes first, and technique is the means rather than the end. Unhappily, most art is mediocre if not bad, and a wide-ranging show like this one reminds us how superior the best artists really are.